Want to sell your property Fill out the form below and we will be happy to assist you. Choose Type Studio T1 T2 T3 T4 T5 T6 T7 T8 T9 >=10 Bedroom T1+1 T2+1 T3+1 T4+1 T5+1 T6+1 T1+2 T2+2 T3+2 T4+2 T5+2 T6+2 T1+3 T2+3 T3+3 T4+3 T5+3 T6+3 T1 DUPLEX T2 DUPLEX T3 DUPLEX T4 DUPLEX T5 DUPLEX T6 DUPLEX T1 TRIPLEX T2 TRIPLEX T3 TRIPLEX T4 TRIPLEX T5 TRIPLEX T6 TRIPLEX T0 DUPLEX T0 +2 DUPLEX T1 +2 DUPLEX T1 +1 DUPLEX Studio Kitchenet T1 Kitchenet T3 Implex T2+1 DUPLEX T2+2 DUPLEX T0+1 T3+2 Duplex T3+1 DUPLEX T2 Kitchenet T3 Kitchenet T0+2 T4+1 DUPLEX 4+4 B.A. 3+4 B.A. There are several factors that influence the sale of a property and one of them, being the main influencer, is its associated value. Determining the right price is not always easy, BelleVille helps you through this step by making sure you ask for the fair value so you can sell your property quickly. The commercial presentation of your property can make all the difference, both when evaluating it financially and, particularly, at the time of the potential buyer's visit. Thus, at the time of the collection, we analyze every detail and advise you to proceed with any intervention that we consider advantageous. Sometimes, no matter how small the intervention can make all the difference at the time of the visit and subsequent sale of your property. The photo or video of your property, will be the first contact that the potential client has with it. Captivating the client immediately is our main goal and as such, we will proceed to a professional photographic session of your property, using the latest technology, we will also make a Virtual Tour so that the client can see your property in 360º and also a video so that no detail escapes. Shooting a property with quality, at the right angles, with the necessary tools and key issues, is the key to effective exposure and increase the number of visits to it. In addition to the exhibition of your property on our website which has about 15,000 monthly visits, we announce your property in other means of national and international dissemination, namely in the main sales portals, ensuring that it reaches the potential buyer efficiently and effectively . Did you know that this is one of the traditional offline means that originates more contacts? By placing a sale sign on your property, it will be exposed to the sight of anyone, even those who are not looking but may be interested. In order to ensure that your property reaches the buyer client, BelleVille often invests in various offline advertising media such as flyers, magazines, newspapers, catalogs, among others, which are strategically distributed at several crucial points. If all the previous steps are rigorously implemented, those interested in your property are sure to be some. However they are all different in desires, needs, abilities and interests. As such, BelleVille rigorously selects all potential buyers, finding the most interested and most likely to purchase your property. 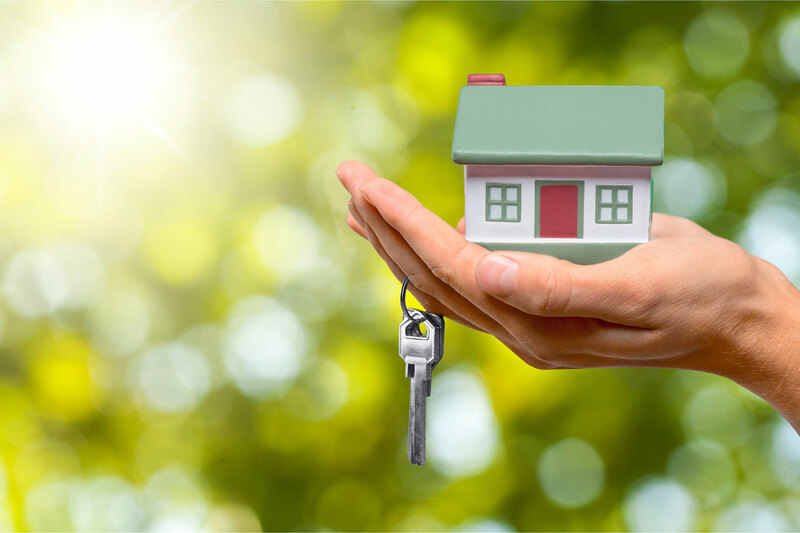 In the vast majority of cases, the buyer client feels the need to use a housing loan for the acquisition of his property, BelleVille's mission is to provide all the necessary support so that each inherent step is carried out with maximum ease, readiness and security. To the customer seller, you are also given all the support and accompaniment in the need of it. Always with the main objective that the sale is carried out in the best possible way, for both parties. Being fully aware that 'together we are stronger', BelleVille, in order to sell its property in the shortest possible time, shares it (in addition to all online and offline means) with all companies in the sector real estate, and these can also sell your property, with one great advantage: you only have to deal with a single interlocutor: BelleVille. You will often receive a detailed report with information about all the actions carried out around your property, so that you will be aware of all the work that we are going to have as interlocutors in the sale of the same and, consequently, the results from that. Information such as: number of visits to the property, marketing actions carried out, market analysis, among others. In addition to all the actions described previously around your property, BelleVille has the initiative to carry out other marketing actions that contribute a lot to the disclosure of your property, such as: Open Houses, Coffe Break House, among others , which can greatly influence the sale of your property.